Yesterday October 28th marked the date that one year ago we woke up in a new house in Pattaya. 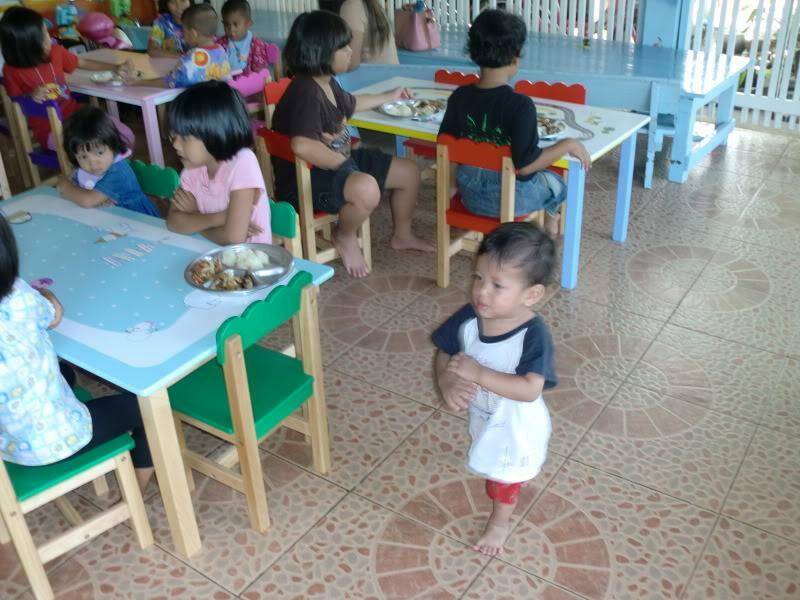 This was after being flooded out of Bangkok, and through the kindness of LT.
We have been lucky and recovered, but their are so many others in need. 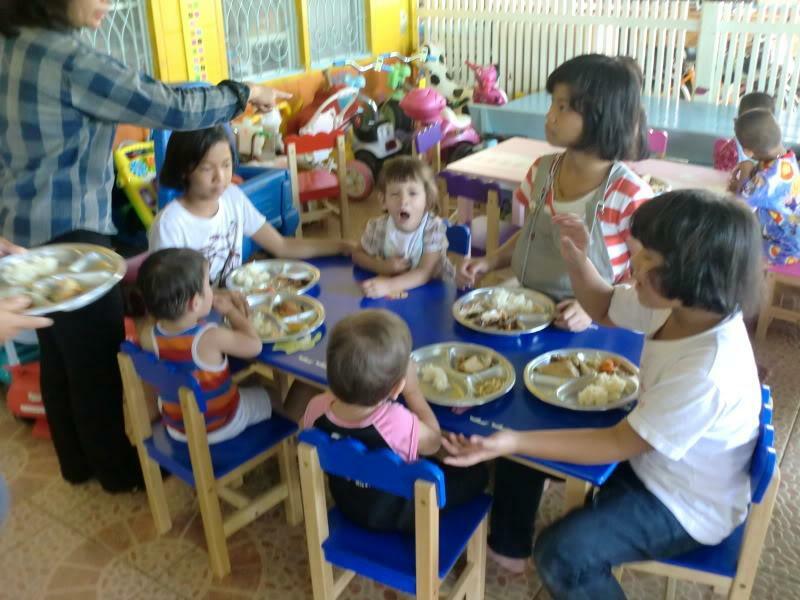 So my wife decided it was time to give back so we arranged a lunch for the 30 or so orphans aged one and a half years to 12 years old. We went to We Train the place I mentioned on Willy's thread about battered and abused women. We went and bought cooked from our local Isaan shop grilled chicken, and one day dried pork, or mu det deo. 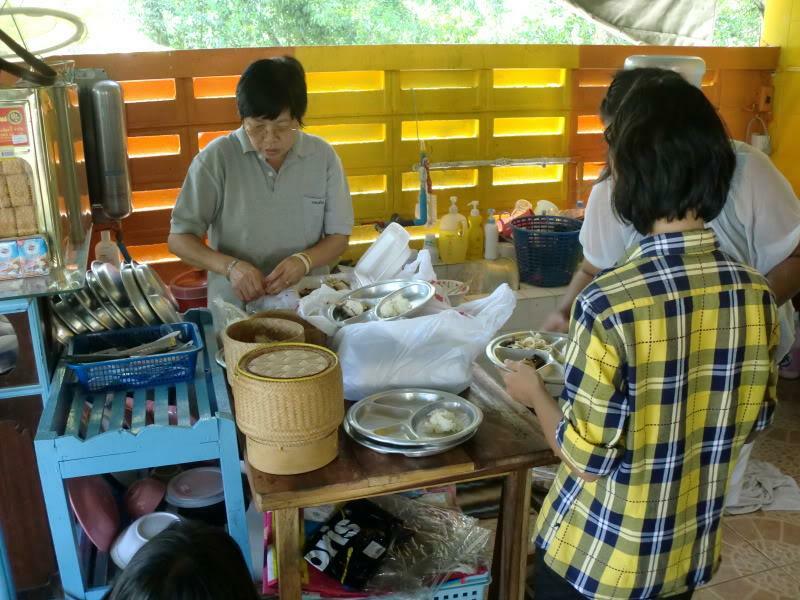 Then we made sticky rice, cold watermelon, and pomelo, along with a very mild som tom for kids. Picked up 45 ice creams from Walls as well. Off we went for their lunch at 11am. It was one of the most rewarding things I have done here. 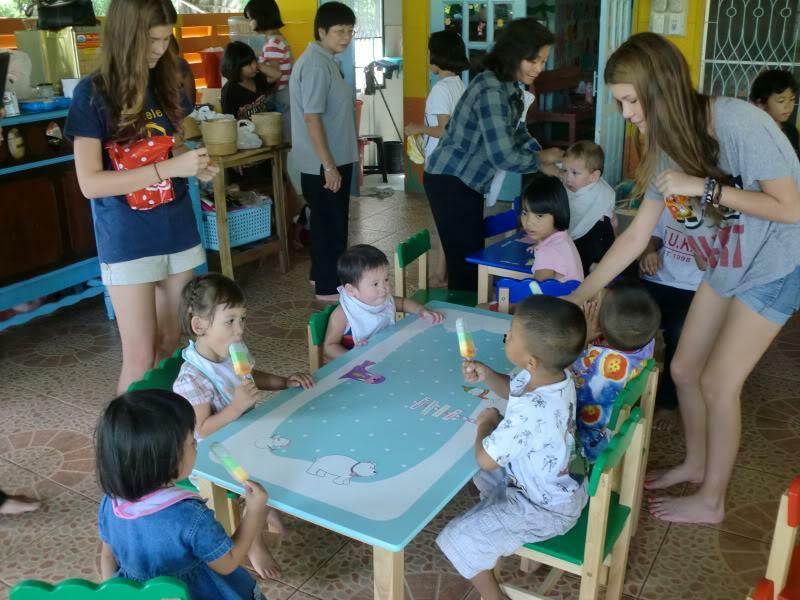 All the kids are so bright and polite, and the olders and help with the youngers. Just a few shots of a great day giving. I need to do it more. 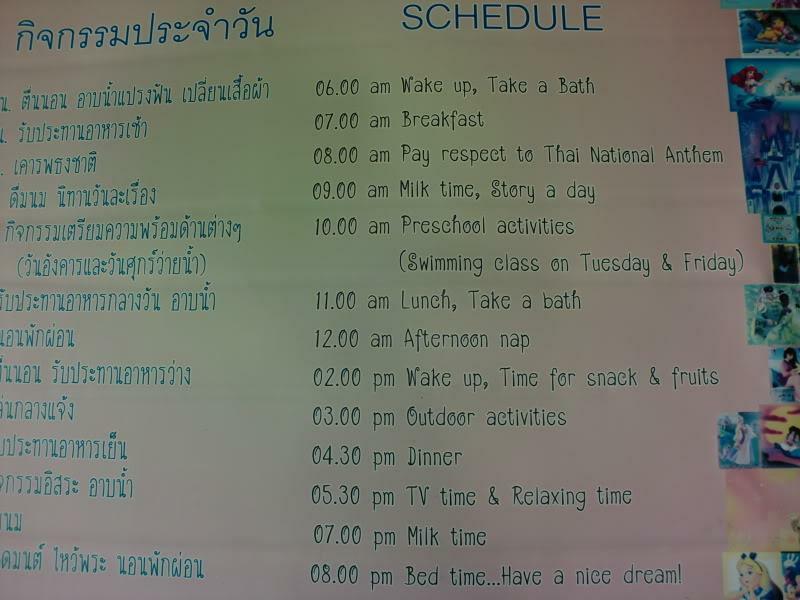 The daily schedule. Yup thats what I said. The main teachers and actual "mom" to the kids. Organizing getting the food out. Just been served, happy they were. Buffet go back as much as you want. Ma Noi, helping Robert, who was left there by his mom. As you can see his dad was a western guy. The biggest girl who helps the most with her back to you. Again a little girl Anna left by her mom after birth. Here she is helping take care of the little ones. Both adore her P' Nung. This little fart is but 13 months old and is everywhere, always with a smile on his face. I will post up a few more when the ice cream came, they saved the fruit for dinner. But I have to cook. Good on ya, AO. Nicely done. Well done AO, heartbreaking but at the same time lovely to see the little ones with a smile on their face. Good job man . 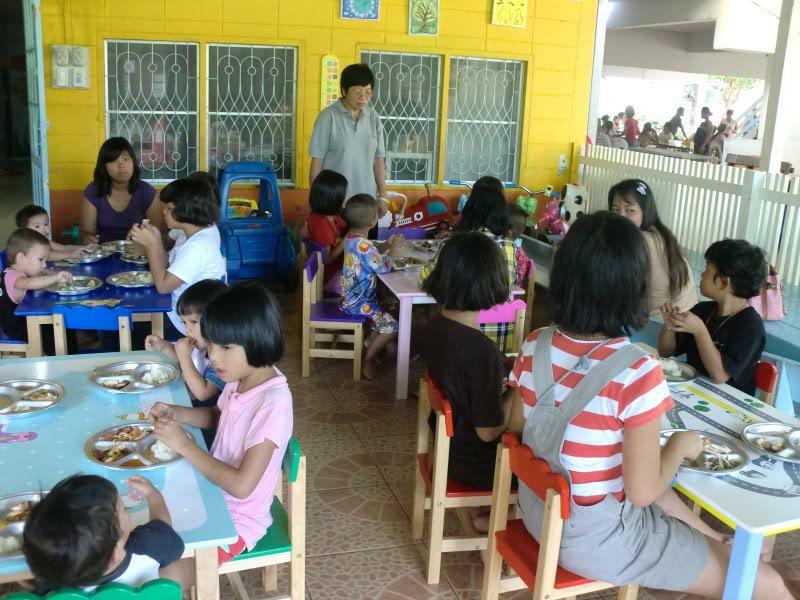 we do this a few times a year for our local orphans and it is indeed a good way of helping out the less off in Thai society. Makes you wonder if Robert's father even knows (or cares) if he has a son living in an orphanage in Thailand. maybe grandmothers do (also) more often reject children, which dont resemble them/their daughter a little? and they might be the ones, who would have to raise the children - in some village...? it could be best for that children, if they get adopted by western parents (australian couples?)? all a bit different - and more difficult for them? Thank you AO and your wife. That's all I can say, Thanks. Well they well enjoyed the ice cream. Deboer glad to hear that, and gerbil I dont have a clue but the mothers left these two beautiful children there. Somebody has to serve it. We Train is really doing a service. You can google it as well. Decent guest house close to my house that is cheap as hell as well. The boys dont have it well. 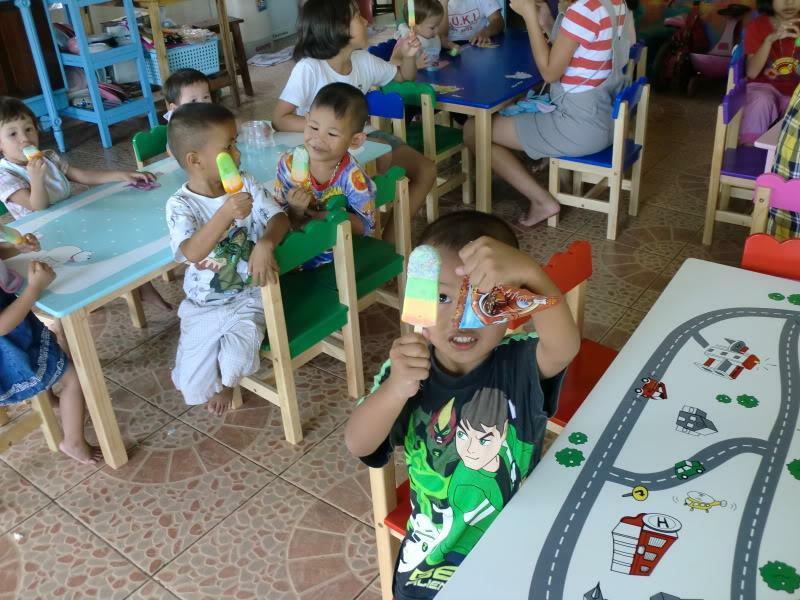 At 3 they go off to an orphanage. But the girls can stay and to to the school next door until they finish M3. If they have good grades which all of them do then they go to CP corporation for job training. They end up as managers and workers at CP fresh and 7/11's around the country. 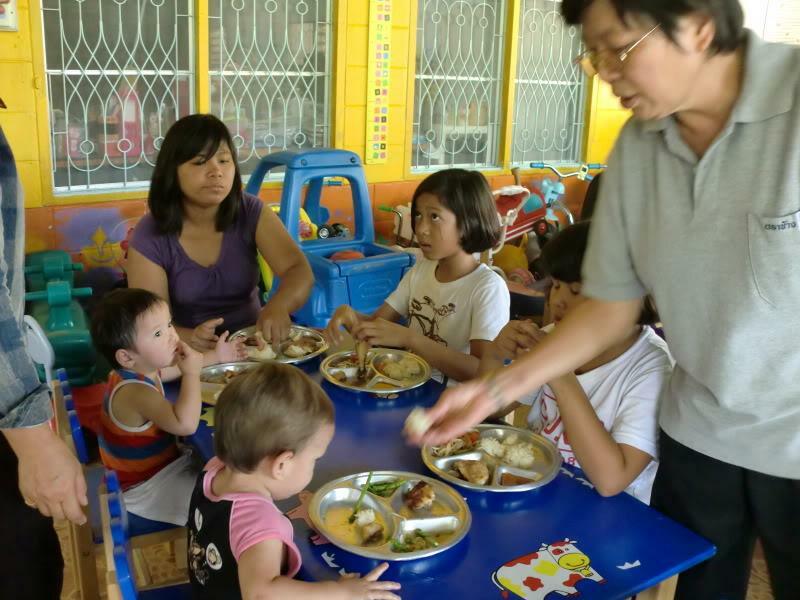 None of this is funded by Thailand, other than rich people with a a social consciousness. The rest comes from Japan and Jimmy and Roselyn Carter who fund the AIDS and HIV childcare center. All in all a wonderful hour + by just after noon the little ones were falling asleep in their chairs and the older ones knew it was nap time. 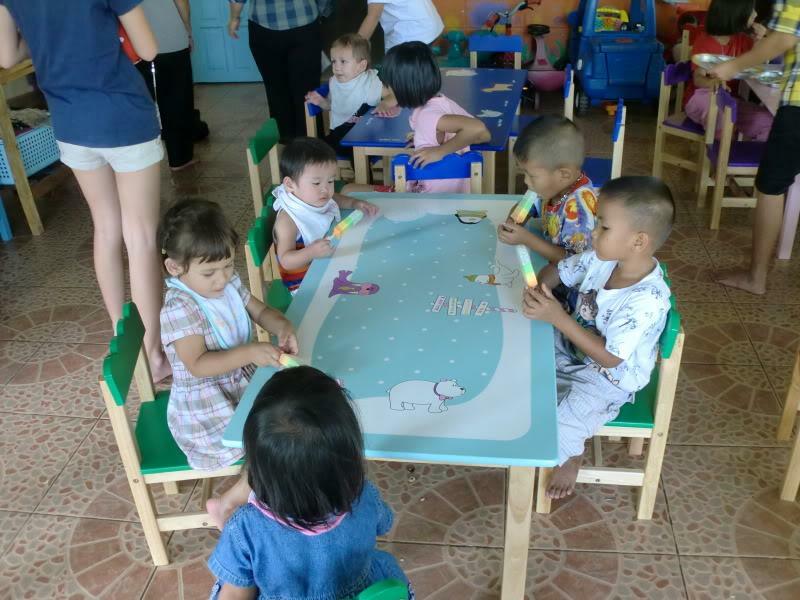 I spent a bit of time helping different orphanages in Thailand, heart breaking, many of them only need love and time. 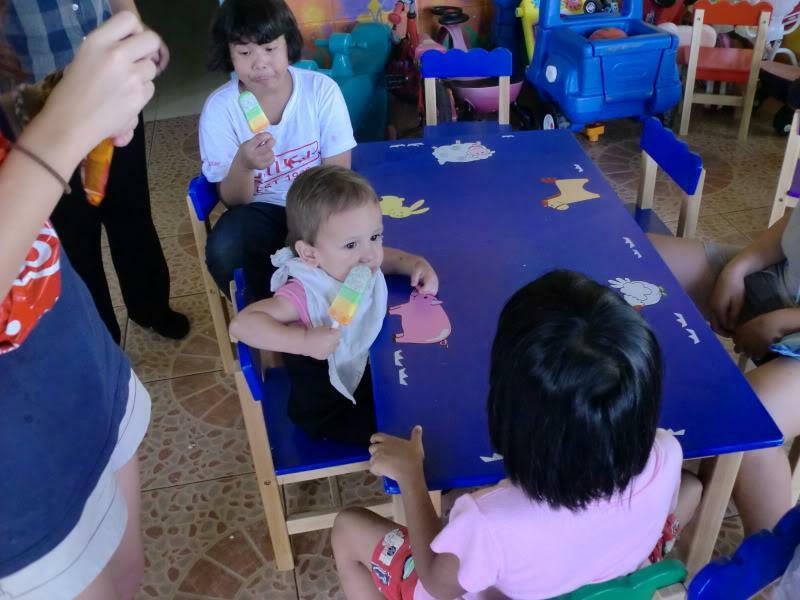 A few dictate that they dont really want one off visitors, regular visits are much more beneficial to the children and their development. Good on you AO, and nice to see you involved your whole family too. Fantastic story. Love reading threads about people that help the unfortunate children in society. Hardly surprising AO; you and the wife are giving people; good on ya. Don't want to blow smoke up your (and your families) arse, but what else can I say apart from good on yer! Lots of people have intentions to help others less fortunate, but many do not follow through for some reason or another. I am one of these people and it's amazing how spending a few baht on food and giving your time can make a difference to somebodys life. You're one of the good guys in my books. Reminds me of a couple of years ago during a visit to see the In-laws. It fell during my Birthday so as a face thing for the wife we went to the school she went to and I paid for the school lunch for all the kids plus ice cream. 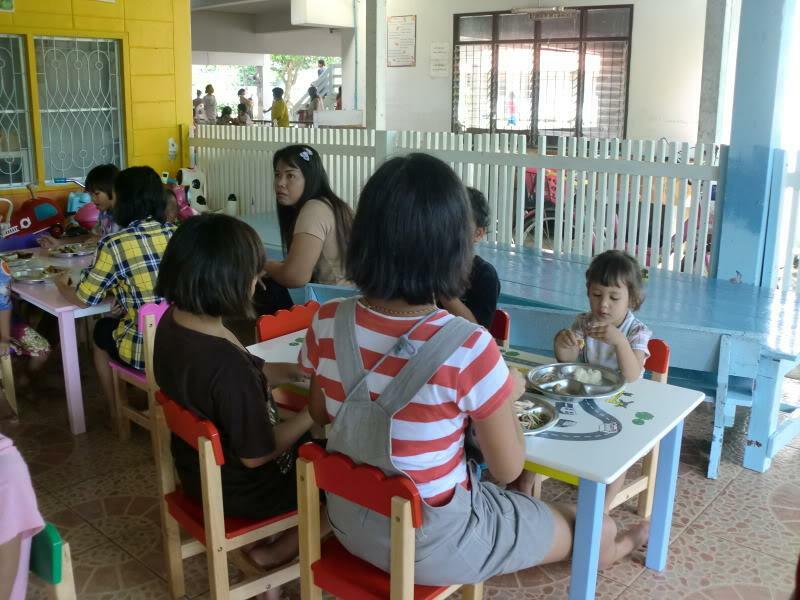 It only cost 2000 baht to feed the whole school. Then they all sang Happy Birthday to me. Not on the same good deed scale as Ageing One but it made me smile. and through the kindness of LT.
You do piss me off sometimes AO as I did absolutely nothing you would not have done for me in the same situation. Lovely job mate and you certainly are a solid father and family man. The rest of your actions come naturally and hardly surprising for me. Kudos to ya AO. Heartwarming tale. Green sent. Can you re post the link....googled and can not find the place. Wonderfull gesture mate ,, shame the system don't allow a bit of repo slack for posts like this ,, so next time it will allow I'll hit the button 4 ya ! A brilliant contribution AO well done. It's wonderful to give children a special day to look back on. I'm going to start tommorow , up at 6 am and a Zoom frozen lolly for breakfast ! and thanks very much everyone. Good job AO and family. Takes so little to make time for others less fortunate. Special day for sure. Still a few decent people left then. Thank you, AO. You are not as ancient as I, yet are a fine role model, just the same. I am facing some scary medical adventures, and you brightened my day and put a smile on my face.